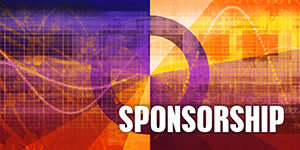 Sponsoring at the 2018 NOHS Conference provides a beneficial means of improving your competitive edge by improving your organizations image, credibility, and prestige by supporting events that your target market finds attractive. Event sponsorship in particular can be especially effective as a marketing tool as it can be a means of accessing a wide range of audiences such as decision makers, government entities, and customers. 1/8-page advertisement - black & white - $75. 1/8-page advertisement - color $100. 1/4-page advertisement - black & white - $100. 1/4-page advertisement - color - $150. 1/2-page advertisement - black & white - $200. 1/2-page advertisement - color - $250. Full page advertisement - black & white - $300. Full page advertisement - color - $450.